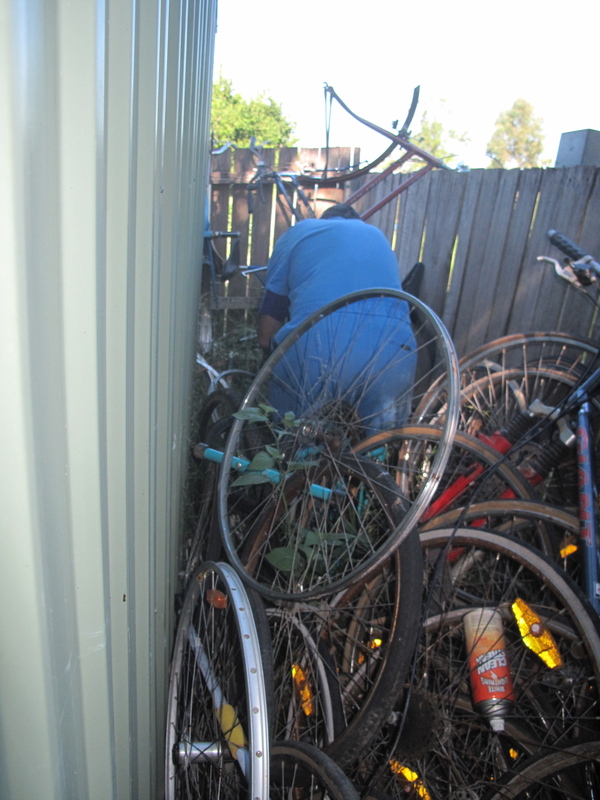 Okay I’ve finally got my laptop back, so I can fill you in with what Hobart Bike Kitchen has been up to over the Festive Season. 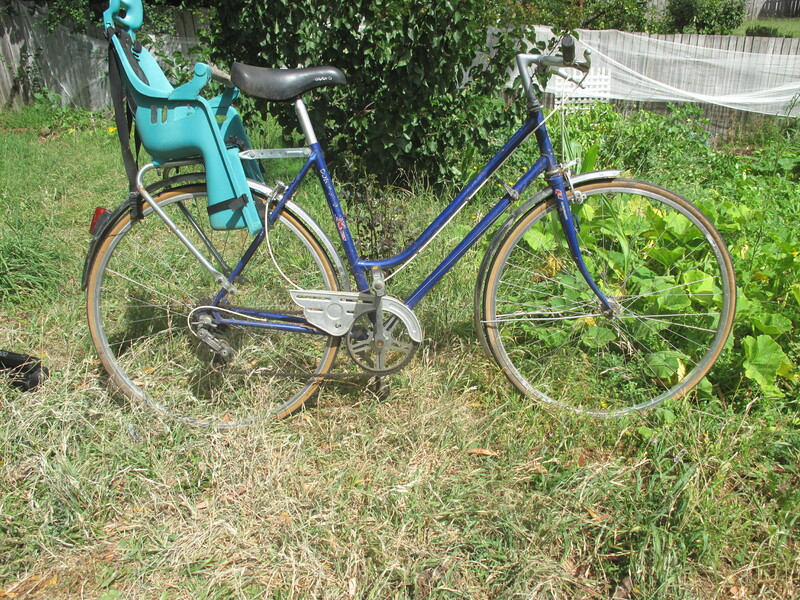 This lovely step through bike is waiting to be claimed as a project bike by someone. It already has had its chain cleaned! 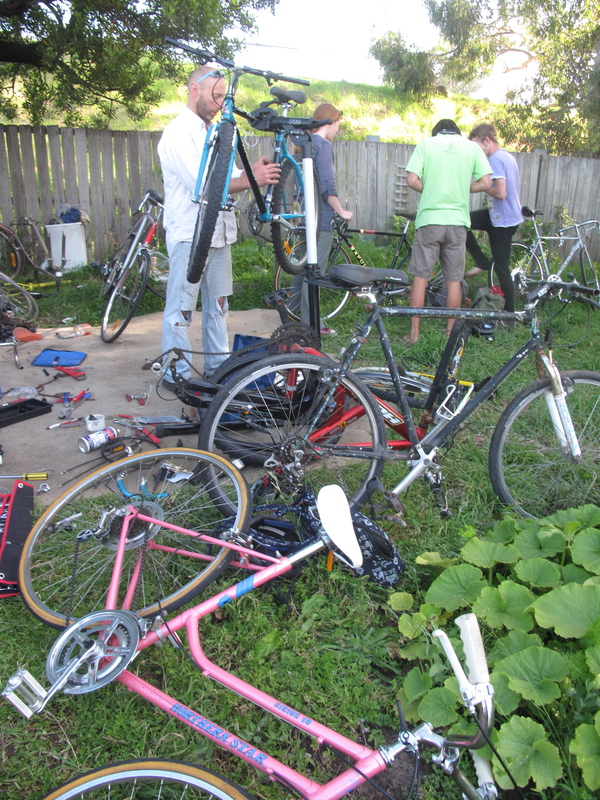 Anybody can come along and find a bike for themselves, its free! Usually we have all the parts you need. Though sometimes it takes some effort to find them. 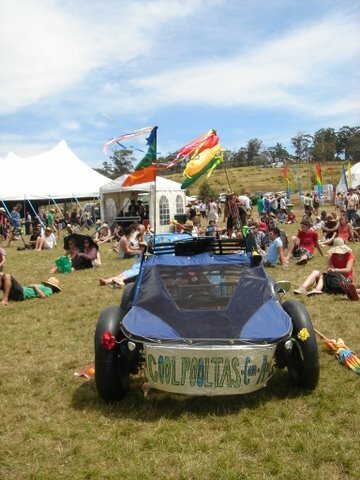 Over New Years I was helping out CoolPool Tas Promote Carpooling at the Falls Festival. 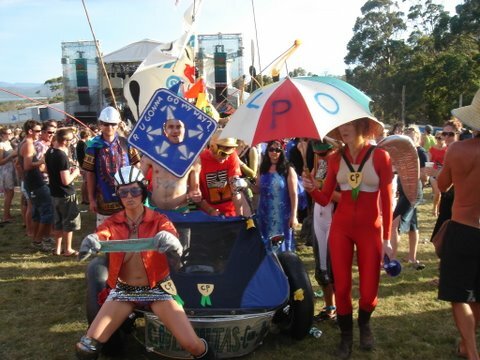 This is the CoolPool walking car which attracted a lot of attention from the punters. This turned out to be heaps of fun. Everyone should go register at Coolpool as even us bike riders sometimes need a lift and of course some of us drive. 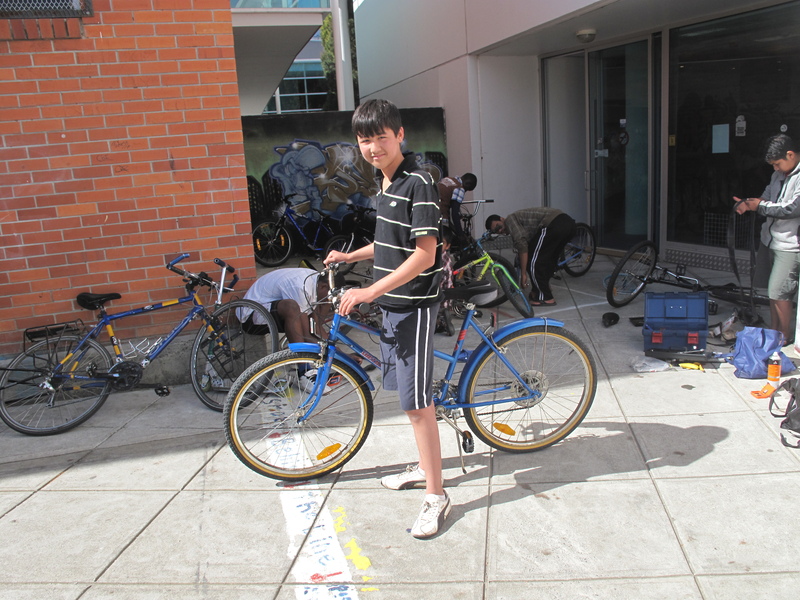 HBK has teamed up with the Migrant Resource Center to set up some bike-related activities in their school holiday activities program. 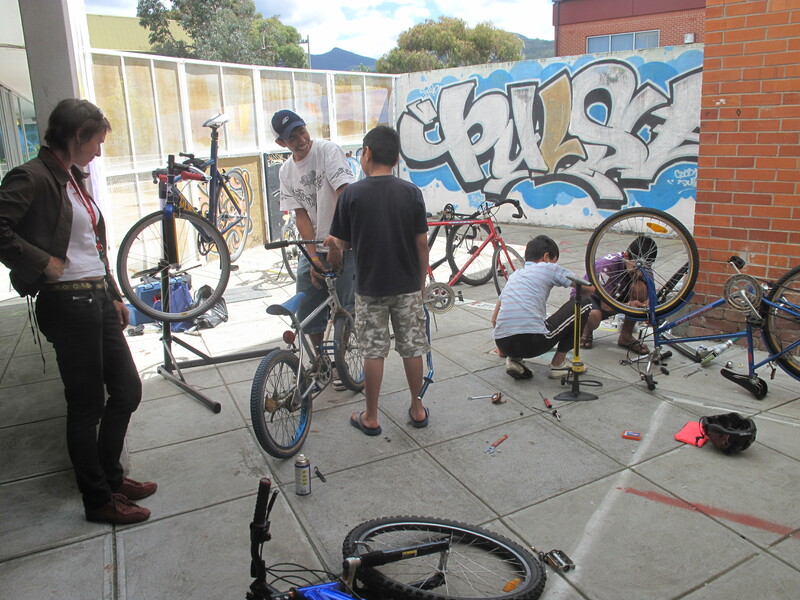 Over the first two weeks of January we had a bike maintenance session at Youth ARC, a group bike ride to Cornelian Bay and two mini Bike Kitchen sessions at Pulse youth center in Glenorchy. 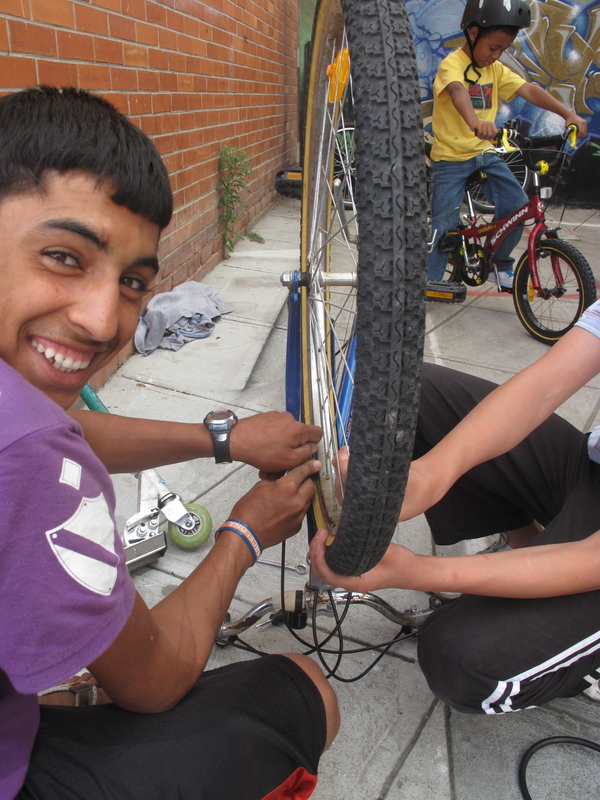 These actives proved popular and it was great to see many of the participants already had good bike spannering skills, all that was needed was some tools and they were right into it. 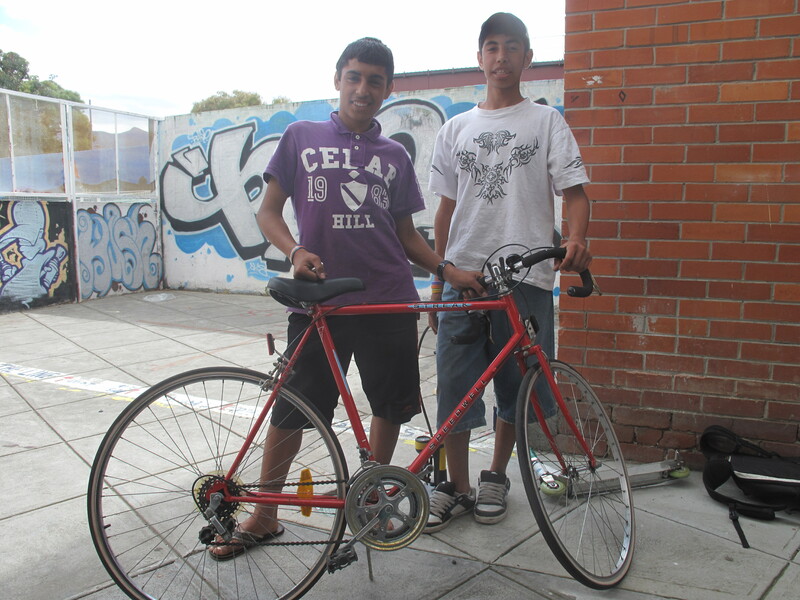 Some built up a bike kitchen bike for themselves. 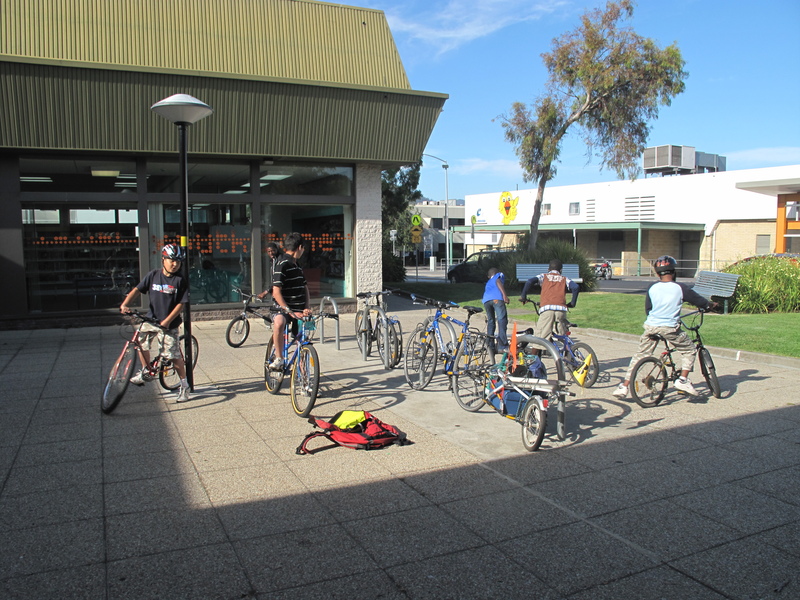 The last session ran a few hours over time, as more and more bikes appeared. In the end there had to be a cut off point. As usual the few photos I snapped off don’t show the number of participants we had drop by over the two sessions. By popular demand, we have an encore session Friday(22/1) from 2-4:30 If anybody is interested in helping out, get in contact. Beyond the scope of the summer holiday activities we are hoping to organise a portable Bike Kitchen happening possibly once a month in this location. Okay thats enough for one post, consider yourself updated. 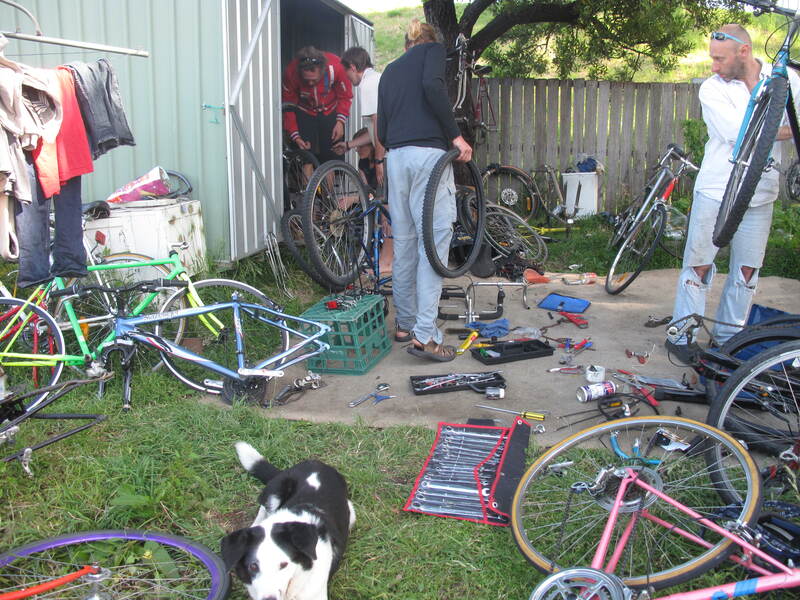 Super work Gus, great to see so many people getting bikes out with a bit of help from HBK. Well done guys. Fantastic work!! Looks like a lot of very happy customers. You can always tell an expert! Thanks for cotrnbituing.